Barbara's latest "Historically Speaking" column appeared in the Exeter News-Letter on September 7, 2010. There were two Arthur Fullers living in Exeter in 1907. The elder was Arthur O. Fuller, well-respected local lawyer, police commissioner, state congressman and town selectman. His son was a dreamy-eyed schoolboy attending Phillips Exeter Academy. 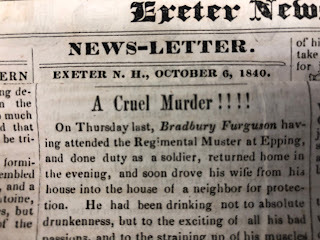 In his diary, now part of the collections of the Exeter Historical Society, the younger Fuller illustrated his surroundings from memory with a refined ability that is quite impressive. His sketches of the wildlife of the area, particularly the animals and birds of the Exeter and Squamscott Rivers, are detailed and beautifully rendered. 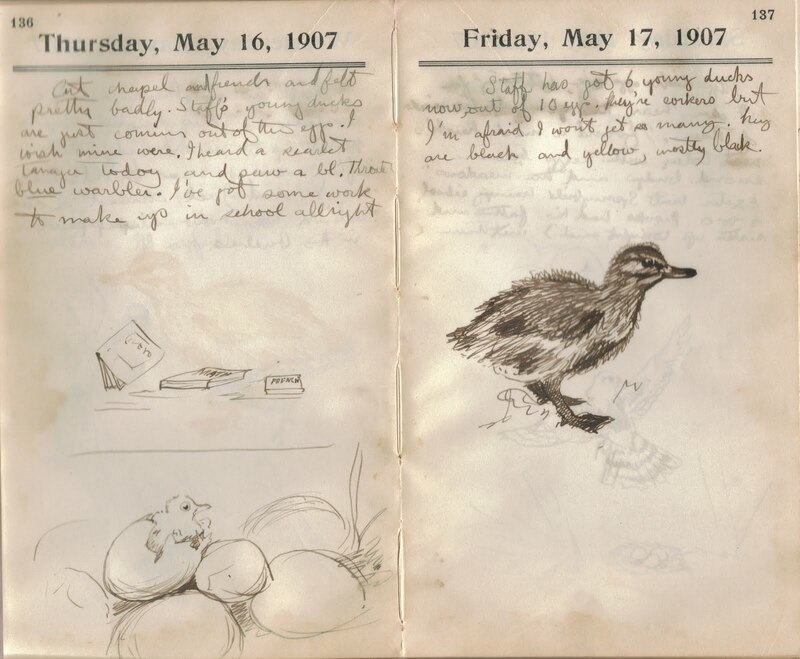 His diary reflects a boy who valued his time outdoors much more highly than his time in the classroom. If his son’s love of nature bothered the elder Fuller he had only himself to blame. He, too, loved the outdoors. His friend, Henry Shute, later wrote of his neighbor’s attentiveness to his children, “the boats that he provided for them to use on the big river, and the canoe he built for them to be used only on Little River and from which the entire family cheerfully fell and were thoroughly ducked; the fishing rods, shot guns, butterfly nets and everything else that tended to keep them in the open, testified to his affection for them.” Young Arthur seems to have taken to the wild more than his many siblings. During his years at Phillips Exeter Academy – during which he prepared for admittance to Harvard – he garnered more enjoyment from the wild ducks he raised, than from his studies. He carefully collected eggs from nests along the riverbank and then placed them under a broody hen in the family chicken coop. His illustrations follow the progress of the ducklings as they hatched and the peculiar sight of a mother hen surrounded by her flock of baby ducks. Whether she was any the wiser about her unusual offspring is unknown. Arthur, meanwhile, was neglecting his studies and reported in his diary, (on January 28th), “School all day. Flunk all day”. Luckily, he was bright enough that he could overcome his failures in daily schoolwork. Like many smart kids who won’t do homework, Fuller usually comfortably passed his exams. 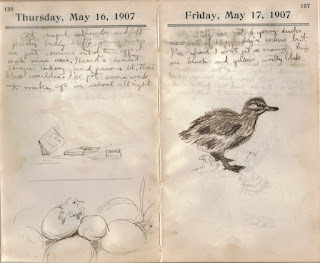 Though it took him several tries in the spring of 1907 to pass the Harvard entrance exams, he entered Harvard in the fall after giving his ducks to his neighbor, Stafford Francis. If his father had any illusions about his son following him into the study of law, he was to be sadly mistaken. Young Arthur’s love of art and nature blossomed after his graduation from Harvard. He attended the Fenway School of Art and later studied with Harvey Dunn at the Leonia School of Illustration in New Jersey. 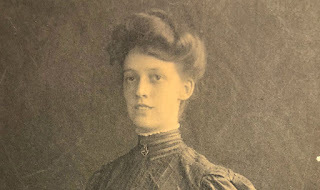 There he met and married fellow student Sylvia Ditchett in 1918. Fuller went on to become a successful illustrator for magazines such as The Saturday Evening Post , Field and Stream, Liberty, Cosmopolitan, Collier’s and McCalls. Fuller eventually moved to Westport, Connecticut on the north coast of Long Island Sound – close enough to New York City to meet with his clients, but always within a short walk to the marshes and water life that mirrored the wild places he’d grown to love during his boyhood in Exeter.